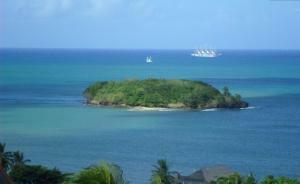 ﻿ Best Price on Bayview in Rodney Bay + Reviews! Bayview provides accommodations with an outdoor swimming pool and free WiFi, and is located in Rodney Bay Village. Each room includes a balcony, a kitchen with an oven, a dining area and a flat-screen TV, while the private bathroom includes a bath or shower. A microwave is also offered, as well as a coffee machine and a electric tea pot. Fishing can be enjoyed nearby.